Amusing T2 slice from 3T MRI scanner showing right sided fixed position of the lenses. 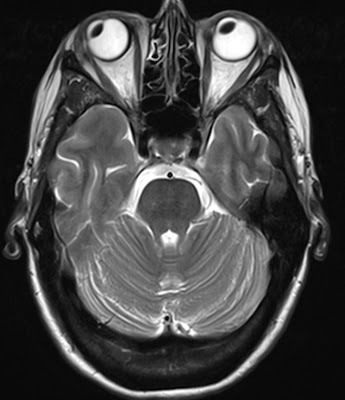 Perhaps our patient saw something interesting in the scanner? :) For more fun radiology images check older posts in Fun label.